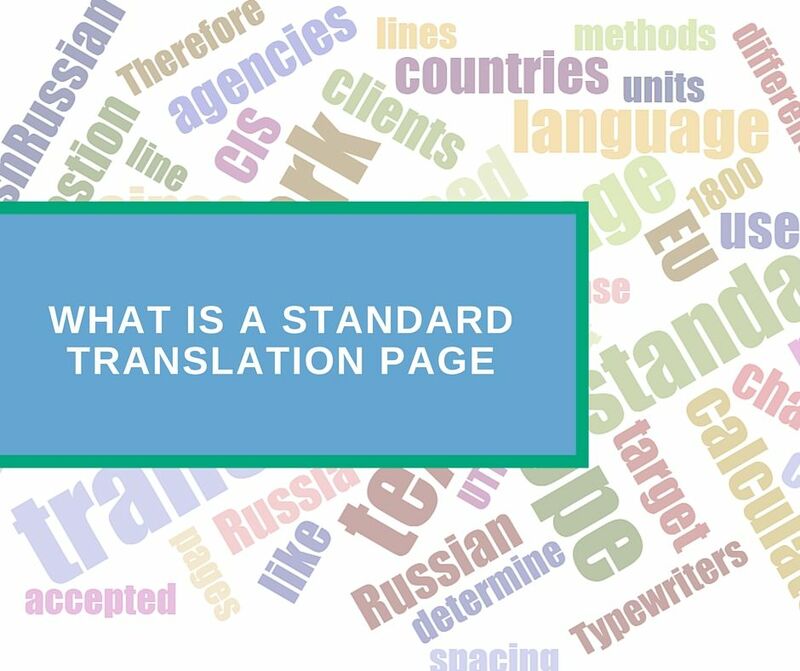 Many clients who order translation services for the first time come up against the questions: how to estimate the scope of translation work and what is a standard translation page. These are very important questions as the cost of translation largely depends on the scope of work. Translation agencies and freelance translators use various units of measurement to estimate the scope of work. These units are characters, words, pages or even lines. I provide English-Russian translation services, therefore, this blog post covers English-Russian language pair and common methods to determine the scope of work for this language combination in particular. Since I work both with translation agencies and clients based in European Union, UK, US and Australia, Russia and CIS countries, I have to apply two different calculation methods depending on the client’s country of location. Translation agencies and clients from these locations in the majority of cases prefer to use the number of words in a document to determine the scope of translation work. In this case, standard translation page for English-Russian language pair consists of 250 words. Since my services described on this website are targeted at the markets of the above countries I adhere to the word-based standard. Though the recommendations of the Union of Translators of Russia (UTR) do not provide an exact definition for the standard translation page, the size of conventionally standard page in English-Russian translation practice is widely accepted as 1800 characters with spaces in the Russian Federation and CIS countries. This standard goes back to the time when typewriters were used. Typewriters ensured more or less unified fonts and line spacing. According to UTR, this standard value is derived from the author’s sheet (40,000 printed character) divided by the approximate number of normally filled pages in authors’ sheet (22.2). Since MS Word (DOC or DOCX) is one of the most common text document formats, standard translation page consisting of 1,800 characters with spaces will have the following parameters: Arial, point size 14, line spacing 1.5. The same standard page will include approximately 250-280 words or 30 lines with 60 symbols in each. Another question is what text shall be used to estimate the scope of translation work – source or target (translated)? As you may know, the Russian texts are almost 1.2 times longer than the English ones due to linguistic features of Russian sentence structure and words. Therefore, the scope of work estimated for English source text will differ from the scope estimated based on the Russian target text. Actually selecting source or target text for estimation depends on the source file format. In case of editable file formats like Word, Excel, PowerPoint or similar, the scope for work is estimated based on the source text. However, if the text is provided in the non-editable format like poorly scanned PDF or handwritten text, it is not possible to find out the scope of work based on the source text. In this situation, I usually prepare approximate estimation, while the final scope and the cost of work are calculated based on the target (translated) text. Finally, I would like to add that since there are no strictly determined and commonly accepted standards for a translation page, the best way to estimate the scope of translation work is to use the word-based system, which is applicable for all Indo-European languages.